Backlit 3.5” colour LCD (320 x 240) resolution. 2 x 10/100 VVX400 or 2 x 10/100/1000 VVX411. PoE (Optional power via 48v PSU available separately). 12 memory keys with BLF. Supports the VVX Expansion Module and VVX Colour Expansion Module (up to 120 additional keys). 1 x USB2 for media and storage applications. 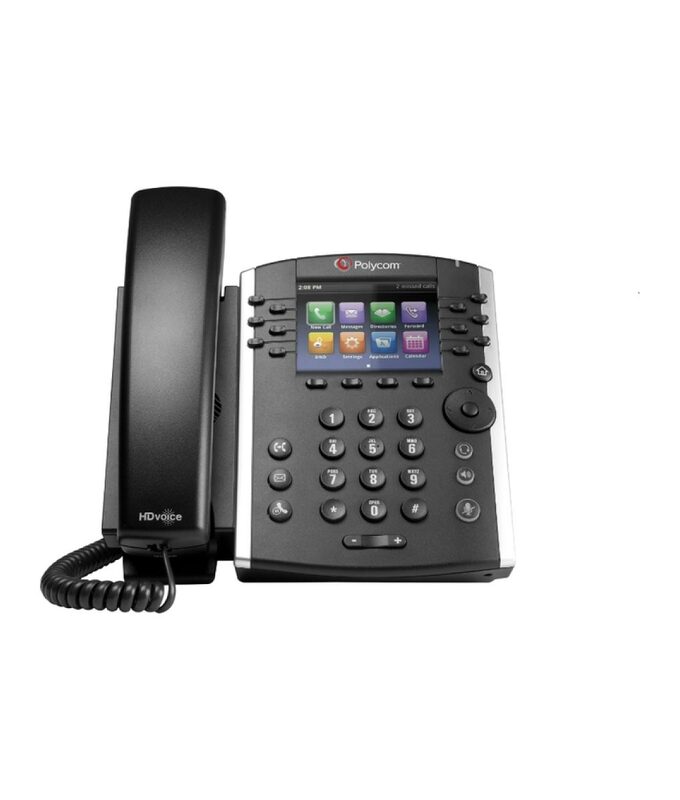 The Polycom® VVX400 series is a mid-range business media phone delivering high quality voice. This cost effective solutions ideal for front line staff handling moderate volume of calls. 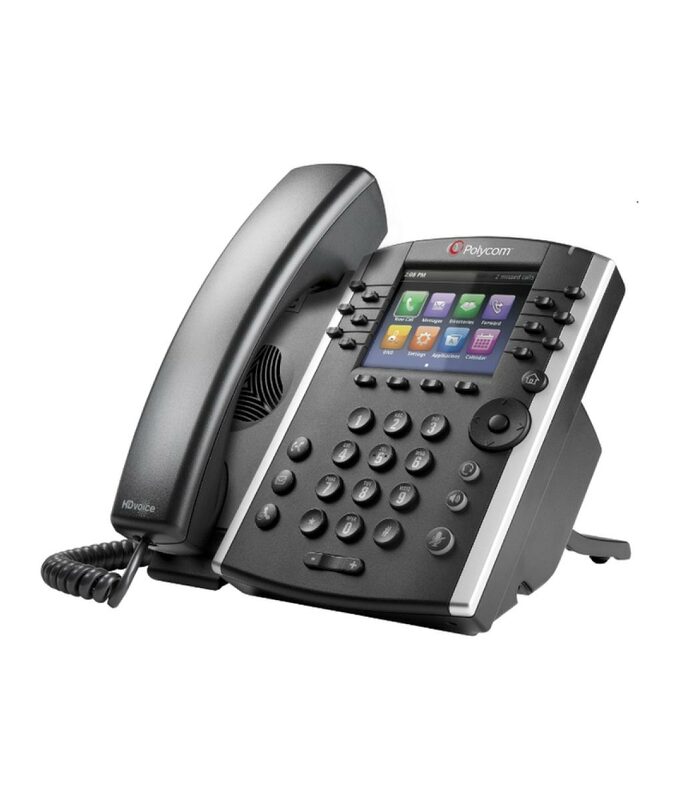 The Polycom® VVX400 series has a generously sized colour display with an intuitive user interface which makes usability and navigation simple. The Polycom® VVX400 series improves the users personal productivity by complementing the workplace applications on their computer. Users can view and manage their Microsoft Exchange Calendars, receive meeting reminders and alerts, access the corporate directory and Instant Messaging/presence status right on their phone display, even if their PC is switched off. 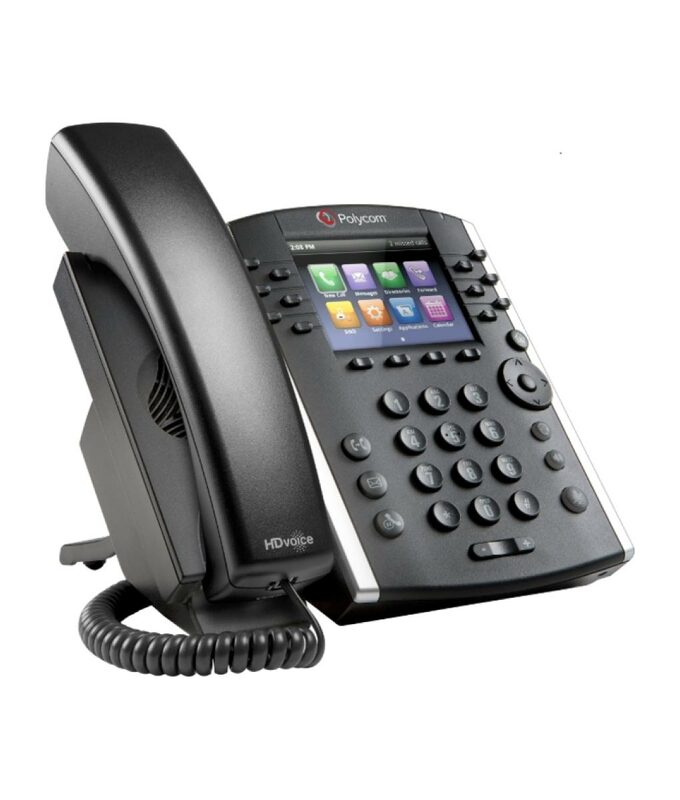 Unsurpassed voice quality and clarity ThePolycom® VVX400 Series delivers breakthrough Polycom® HD Voice™ quality for lifelike conversations while minimizing fatigue, making calls more efficient and productive. 2 x 10/100 VVX401 or 2 x 10/100/1000 VVX411. Two-port Ethernet switch – 10/100/1000 Base-TX across LAN and PC ports.